Below is the text of the speech made by Matt Hancock, the Secretary of State for Digital, Media, Culture and Sport, at the Charity Commission on 23 January 2018. It is wonderful to have had The Duke of Cambridge supporting this event today. He has been a superb ambassador for the sector, and his passion for the welfare of our armed forces, for young people and for the environment has given a huge boost to charities in the UK. I would also like to offer my appreciation for everything that William Shawcross has done in his time as Chair. It can be a difficult job, which involves making some courageous judgements. And William, you have certainly not shirked from making those. William, you have greatly improved the standing of the Commission, preserved the independence of the sector and laid the foundations for the growth in strength and size which we will see for years to come. You have been unafraid to identify the big challenges and then have acted to tackle them, bringing the sector with you. I have no doubt that British charities under your leadership are a bigger force for good than ever before. I’m absolutely thrilled to be leading DCMS. The Department does many things but basically it’s the Department for the Things That Make Life Worth Living. This means the arts, culture, sport, and also the ties that bind us in our communities; the charities, faith groups and neighbourhood projects that hold our society together. It’s also the Department for Digital and for me this is equally crucial to the things that make life worth living. Tech isn’t just transforming the economy. It’s changing how communities work and opening up new opportunities for our civil society to become yet more effective. The same goes for innovations in finance – the new world of social impact investment, bringing new approaches and new forms of finance to tackle social problems. We’re also seeing innovations in policy which push power and responsibility away from Whitehall and towards local communities, especially local mayors. So I’m starting this job with a huge sense of possibility. I know from my five years as a minister across many departments that a charity is often better equipped to tackle a social problem than the government. And I think there’s a huge amount more we can do in finding opportunities for government, civil society and business to work together. The Charity Commission deserves major credit for developing this sense of possibility, despite tough times. Six years ago the National Audit Office published a pretty tough review of your work and the then chair of the Public Accounts Committee questioned whether the Commission should be thrown on the bonfire. Well, phoenix-like, under William’s leadership, you have risen – last year the NAO hailed ‘significant progress’, which coming from them is like a Nobel Prize. I want to congratulate you for everything that you are doing to maintain the reputation, the independence and the success of the sector. I also want to welcome the work of the Fundraising Regulator. Charities depend on public trust and it is right we challenge those few charities whose bad behaviour endangers the reputation of all. The Fundraising Regulator is also working with other partners to develop simple guidance for small charities on the new GDPR data protection requirements, which I know some of you have questions about. I believe we are on the path towards a more transparent charity sector with higher standards of integrity. And this is important. Because I see an opportunity for the sector to make a major step up in its role. These improvements to governance and funding must continue. Because I want us to focus on our time ahead as an opportunity to work together and improve people’s lives. Whether in public service or service through charities, that is what it’s all about. I believe to my core in the value of public service and the deep integrity of dedicating your working life to improve the lives of others. This is what we do in government, both politicians and civil servants. And it’s what you do in the charitable sector, directly addressing some of the gravest challenges to the human condition and lifting the lives of people across the country and the world. I want this to be the focus of our work together. I commend those charities that are working to fix problems and responding to need, usually on a small, local scale. I also commend the charities which are playing a role in preventing social problems and not just fixing them. This might be through setting the framework for action by other charities, the public sector and businesses. Or it could be bringing together everyone involved on an issue to coordinate their work, pool finance and agree common goals. All charities that operate on the ground make a valuable contribution. Often the life-blood of our communities, I pledge today that I will always fight to protect and promote you. But I also want to see charities playing a strategic role in our social policy and practice. Likewise, I want the Charity Commission not just to be known for challenging badly operating charities, as important as this is, but for actively supporting all charities to be the best that they can be. My brilliant colleague Tracey Crouch has recently been appointed ministerial lead on loneliness and social isolation. This is one of the most pressing social issues of our time, with research showing that nine million people say they always or often feel lonely. I know that charities and civil society will play a crucial part in our cross-government strategy on loneliness. We are looking forward to working with you to develop and implement it. Tracey also recently announced a review of civil society in the UK, with the objective of publishing a government strategy later this year. We both see this as a major opportunity to set a new direction for UK civil society and to put charities centre-stage in local communities and public services. This is of course not entirely new. 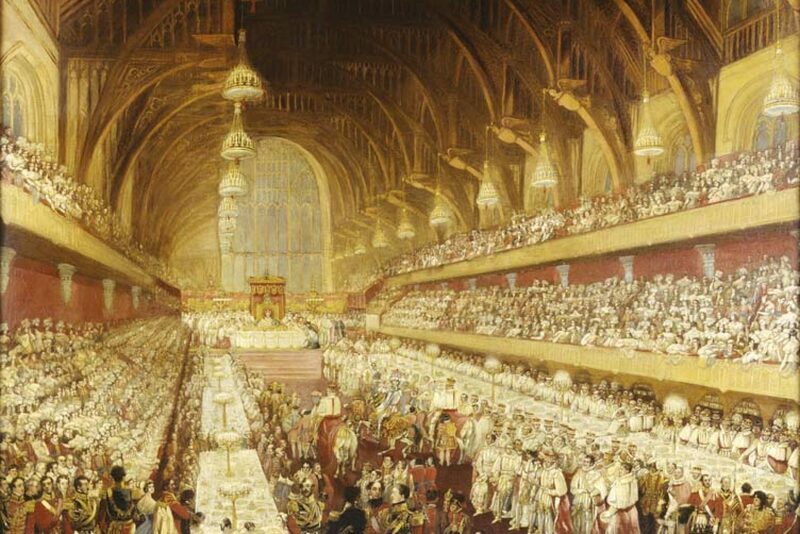 Britain has a unique tradition of philanthropy and of social innovations which began through charitable activity. Everything from hospitals and hospices to insurance and pensions have their roots in the independent initiative of individuals and communities, developing mutual solutions to the challenges of the time. In 1948, William Beveridge followed his famous report on a new health and welfare system with another report called Voluntary Action. He saw the work of charities as vital to a strong and free society. I could not agree more and I very much intend to maintain that tradition. I’m looking forward to working with all of you to help our nation’s incredible charities to strengthen and grow. I pledge that I will be by your side all the way.